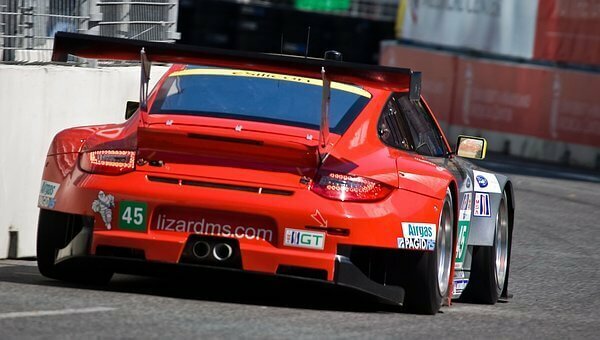 24 Hours of Le Mans is said to be the pinnacle of motorsport! Take one of our motorhomes and experience the 24 hour race at Le Mans. Travel to the Sarthe circuit and enjoy the spectacular live action. Enjoy a weekend packed with fun, thrills and a spectacular atmosphere, as fans travel from near and far to watch the teams battle it out to become champion, in this test of endurance of both man and machine. What happens if you hire one of our motorhomes? If you choose to hire one of our luxury motorhomes for your 24 hours of Le Mans you will receive an excellent service, including, your motorhome and ferry or Eurotunnel crossing. Your route will be planned for you and presented to you in a folder. Also, a Sat Nav will be provided for convenience. All camping will be booked and sorted. The journey from Calais to Le Mans can be done in one single journey as it is only four and a half hours. However as you are travelling to France you may want to take advantage of the fact and see more than just the racing at Le Mans. In addition to your Le Mans experience we can plan a holiday for you. You may have some places in mind that you would like to visit. Or you may want us to suggest some places to visit. We can plan a holiday of choice for you to enjoy. Your trip to Le Mans could feature at the beginning, end or in fact anytime during this holiday, all routes and campsites will be booked and planned for you. You make contact with us to express an interest in 24 hours of Le Mans, give us an idea of how long you would like to be away for. Tell us where you would like to go, if you know. Let us know what sort of things you like to do, what is important for you on a campsite and how far you would like to travel. We will then come up with some ideas of possible holidays, when you are happy with a route we will send it to you along with suggested campsites. When you are completely happy with the campsites and the route we will book all of the campsites for you. And that’s it you’re ready to go! Our motorhomes come with everything that you need, all you need to do is bring your clothes. When travelling to this huge event it is best to go prepared, it is not just a full day of racing to watch, it’s so much more than that. Firstly, it is big, if you’ve seen it on TV you may think that you have an idea of how big it is but when you arrive be prepared to be shocked by the sheer scale of the event. The track is 13.6km long. That means getting various views and angles around the track will translate into a great trek between corners such Indianapolis, Ford Chicane, Porsche Curves or the Mulsanne straight. By browsing this website it will give you an idea of what to expect. For example knowing that there will be around 14 big screens around the track and six large parking areas should give you an idea o the scale of it. Make sure that you wear comfortable shoes, you willbe doing so much walking that it is highly important to have shoes that aren’t going to give you blisters. Earplugs are vital. NO matter how big a fan you are of car engines, the noise is constant and excruciatingly loud. It’s not just a race, it’s a massive motorshow. There are various motorshow stands displaying new models from various car manufacturers and merchandise stores galore. There’s also a mini carnival section with kiddie games and a huge Ferris wheel. Not for the claustrophobic, considering there were reportedly about 250 000 spectators at the event this year, it’s best to know where you’re going and identify various meeting points with your friends and family in case you get separated. It’s very easy to become disorientated with so many people around. It means long queues for anything and everything, and overcrowded spots at all venues. Prepare for the weather the 2017 Le Mans 24 Hours took place at the start of a heatwave it seemed. Weather reports rated temperatures between 23-28 degrees but instead it was between 34 and 38 degrees. Pack very cool and comfy clothing. Yes, it gets a tiny bit chilly at night, but it’s still ridiculously hot until late in the evening. The sun only sets at about 10pm there. With that said, the event had non-stop rain the entire weekend of 2015, so pack a warm jacket just in case. We can provide you with an itinerary to take in 24 hours of Le Mans combined with a holiday in France in one of our luxury motorhomes.